In the wake of the release of the ‘Australia in the Asian Century’ white paper by the Gillard Government in 2012, there was much excitement in the arts policy circuit about what this means for potential funding and support for Asia-oriented projects. At the same time, this was accompanied by a degree of resentment among Australians of Asian descent, largely with regards to being overlooked in consultations on the white paper. Most of us have justifiably felt that the mainstream of Australian politics and arts have an instrumentalist view of engaging with ‘Asia’, and that this translates to profiting from the growth of its middle class. Such instrumentalism in turn has the potential to reinforce existing ideas and stereotypes rather than challenge assumptions about ethnic and national categories. Perhaps this is why contemporary Asian Australian creatives are speaking/writing/creating back louder than ever to tell their own hybrid stories. In the process of doing so, they are also unsettling broad-brushstroke assumptions of what it means to be Asian in Australia and elsewhere in a post-globalisation era. 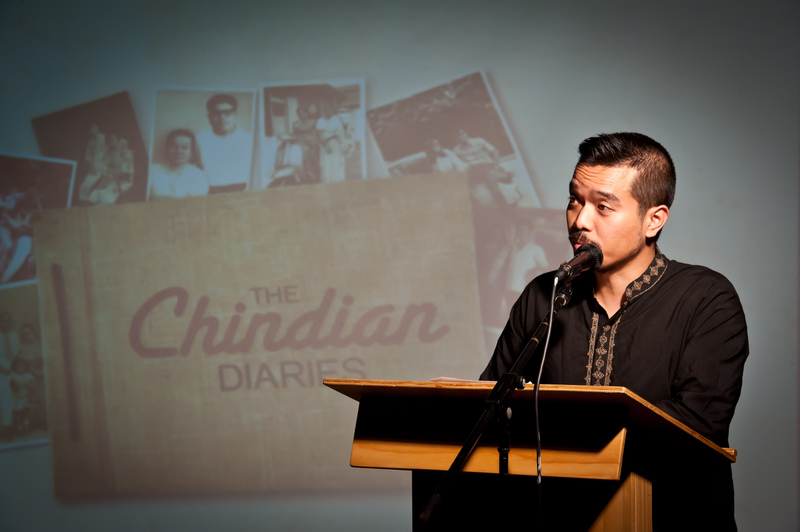 It is in this context that I would situate Kevin Bathman’s project ‘The Chindian Diaries, which made its exhibition debut at the Parramasala Festival in western Sydney in October this year. According to Bathman, he first became interested in mining his own personal story for his creative work after attending a workshop run by Performance 4A two years ago. This led to a Facebook page to search for others of mixed Chinese and Indian ancestries who wanted to share their testimonials and photographs. The page quickly gathered a large following, featuring in several news feature stories, and has 5,335 likes to date. This is clearly a testament to Bathman’s vision and curatorial abilities, and to the sheer power of untold stories. The exhibition itself was hosted by Parramatta-based community arts organization, Information and Cultural Exchange (ICE) from the 18th to the 24th of October. 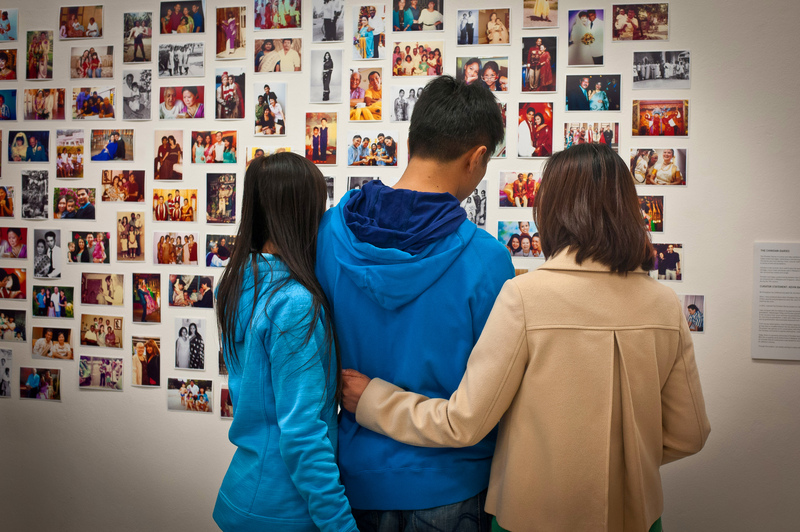 It included a wall of photos contributed by Chindians living all over the world, enlarged photographs of mixed families on other walls, and some recorded interviews. Overall, the exhibition space was a sacred glimpse into the lives of people who were flouting cultural dogma around inter-cultural love and family when it was personally, socially and institutionally fraught to do so. It was like being in a kaleidoscopic living room that was both documenting the past and mirroring the present and the future. The exhibition launch on the 17th of October was an appropriately inter-cultural, even bi-cultural event that showcased the best of Chinese and Indian traditions being practiced in Australia. These included an enthralling lion dance performance by the Choy Lee Fut Pennant Hills, and a beautiful Bharatnatyam (classical South Indian dance form) solo by Aruna Gandhi. It also featured a panel discussion featuring members of the Chindian community living in Sydney and others of mixed ancestries. They had many a tale of bullying and identity confusion amongst them, but there was also an overwhelming sense of feeling enriched and passing this down to subsequent generations. For me, the highlight of the launch was the screening of the documentary, ‘The Legend of Fat Mama’ by Rafeeq Ellias, which lyrically documented the lives of a group people of Chinese background who had vivid and fond memories of living in Calcutta before the Indo-China war. A number of them now live in Canada, and the film featured many poignant interviews and scenes, such as a middle-aged Chinese man humming a Hindi film tune from the 1960s. This film unsettled my own notions of belonging, and how the spaces we inhabit and become attuned to matter so much more than the racial attributes perceived by others. It was also an appropriate stepping stone to begin to unpack the themes of the exhibition and the broader project. 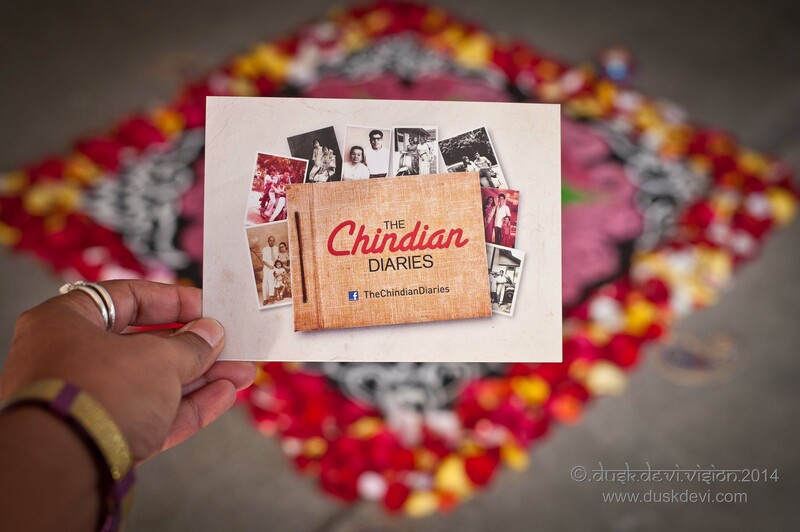 I hope the exhibition leads to even bigger and brighter things for ‘The Chindian Diaries’ project, such as a documentary series. This personal case study of hybridity works to move us politically because of its poetic qualities. Moreover, alongside the works of many other Asian Australian artists, activists and scholars, it has the potential to move the mainstream of this nation into accepting hybridity as the norm rather than the ‘exotic’ exception. Philosophers such as Levinas have long stressed the value of the face of the other for generating responsibility, and that in turn being a precondition of our humanity. In our highly mediated world, faces of others on multiple platforms abound, and perhaps this sometimes leads to distance rather than proximity. However, creative projects such as this are valuable opportunities to take small steps towards effacing the other, and thereby embracing the fluidity of our own selves.